Finding free or cheap family activities is easy once you know where to look. Then after trying a few, some become favorites and then super-easy to incorporate into daily or weekly life. The ages of the children will determine which type of event to attend. the treasure trove of free stuff at a library – absolutely check that out! camping in the livingroom, we did this one a lot! 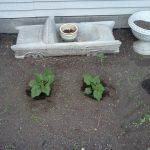 growing a garden, gardeners are often willing to share seeds, I planted a tiny one outside my townhouse, see image to the right! 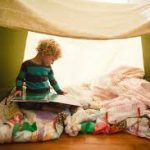 did you forget blanket forts? We also have an article on fun and cheap things to do. This link leads to a great website that shows kids how to make art that you might want to hang on the walls – can’t beat that!